The BenchMate Multi-Purpose Universal Centrifuge is uniquely designed to meet a wide range of applications in both clinical and research laboratories. The Universal Centrifuge has interchangeable rotors and a back-lit liquid crystal display that provides full control over the set runtime and centrifugation speed. The rotational speed of the BenchMate Universal Centrifuge can be set/viewed in rpm or RCF and acceleration/deceleration levels can be easily adjusted in the advanced settings mode. The BenchMate Universal Centrifuge has a max capacity of 4 x 100 mL (swing out rotor). It can deliver a max speed of 4,500 rpm. The BenchMate Universal Centrifuge is a single piece of equipment that works for a range of different protocols, with the appropriate choice of rotors. The BenchMate Universal Centrifuge has adjustable “RAMP” and “BRAKE” speeds that can be chosen from up to 9 speed selection options. The one-touch Short Spin operation and rpm/RCF conversions make for quick and easy use of this BenchMate Universal Centrifuge. The unit is microprocessor controlled, with a last run memory feature. It is also user programmable – the user can set up to 99 programs of 4 lines, each as per run requirements. 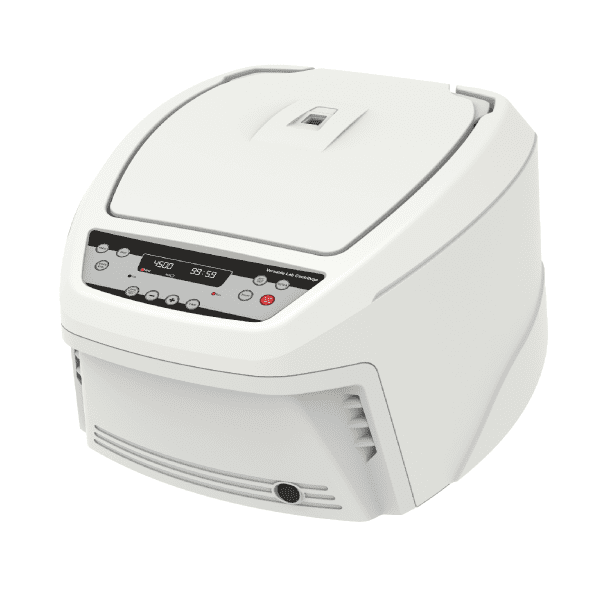 If you are just looking for a small unit for quick benchtop spin downs, the BenchMate C8 Microcentrifuge might be a great addition to your lab. Max capacity of 4 x 100 mL (swing out rotor) – Delivers up to 4,500 rpm. A single piece of equipment that works for a range of different protocols, with the appropriate choice of rotors. Adjustable “RAMP” and “BRAKE” speeds. Can be chosen from (upto 9 speed selection options). Microprocessor controlled, with last run memory feature. User programmable (the user can set up to 99 programs of 4 lines, each as per run requirements).